Welcome to the new Curtis Collection site. 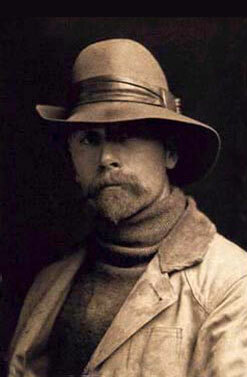 The Curtis Collection consists of the historic copper photogravure plates of Edward S. Curtis that were made to print his life work, The North American Indian. We will also be adding Curtis Collection Movies to our site, explaining further the value and history of these plates. Don't miss them! We continue to redesign the site to make searching for the massive amount of both imagery and factual data, most directly from The North American Indian, easier to find and also allows for a visitor to find what they want to see much more quickly. The site is divided into searches for imagery or written information. A group of articles, taken both from "The North American Indian" or prepared by The Curtis Collection. We will be adding to all of this information in the future. There are some direct links on the home page for contacting us, a history of The Curtis Collection, help, and a direct link to understand the gravure printing process for which the plates were created. We hope to continue to be the place where all of your Curtis information is gathered. Please give us feedback for our site and what you may want included and we'll do our best to comply.